Ninety years ago this month, Crown Prince Olav of Norway married Princess Martha of Sweden in Oslo. The marriage marked the first royal wedding in Norway in more than 300 years, but before the wedding could take place, the residents of Stockholm gave their royal daughter a major going-away present. 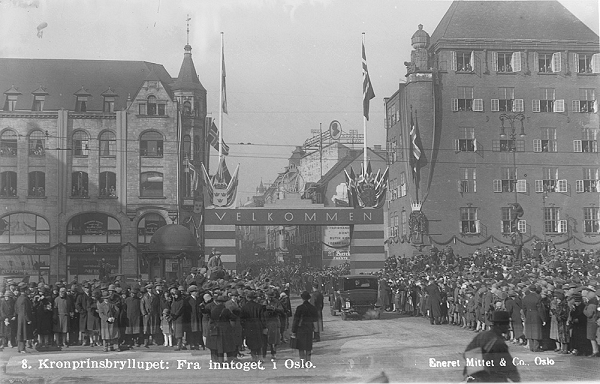 Olav arrived in Sweden to collect his bride in the middle of March 1929. Press all over the world took notice of his arrival. The Windsor Star, a Canadian newspaper, wrote on March 13 that Stockholm "was delighted at the match" and "took advantage of the prince's arrival to express general enthusiasm." 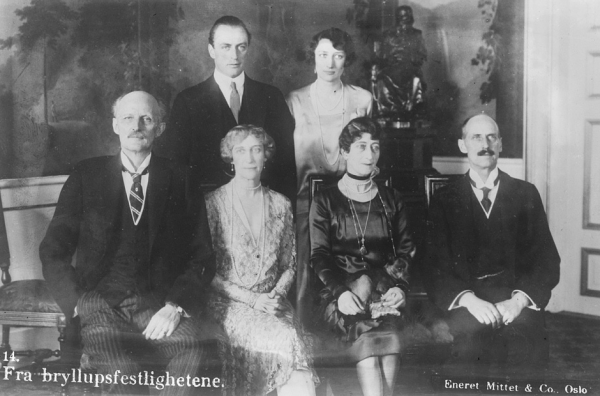 A week of celebrations was planned to honor the upcoming wedding, including a grand ball hosted by Crown Prince Gustaf Adolf of Sweden, Martha's cousin. The Star noted that "a varied and colorful series of social engagements" were on the docket. A ball hosted by the king's own regiment was held for the couple, as well as a dinner hosted by two more of Martha's cousins, Count Carl Bernadotte and Count Folke Bernadotte. The Saturday before the couple's departure was reserved, according to the Star, as "a day for the people." The paper noted that the "city of Stockholm [honored] the royal couple with a reception at the city hall," where a special gift was presented to Martha on behalf of the people of Stockholm. The gift was a very special one indeed: the Vasa Tiara. The Star describes the tiara as "an elaborate diadem set with 956 brilliants weighing 49 1/2 carats, a group of white solitaires in a blue-white motive crown and four-carat solitaire brilliants." They also noted that the "diadem's decorations are based on an emblem of the old Wahsa" -- that is, Vasa -- "dynasty." 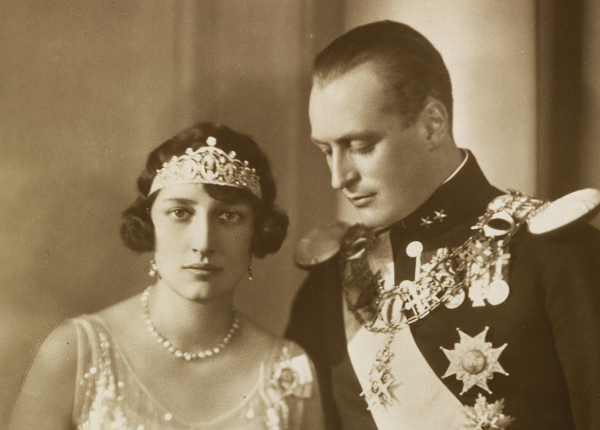 Martha wore the new tiara in portraits taken at the time of the wedding. After Saturday's tiara presentation, Martha and Olav spent one more day privately with her family in Sweden. Just before they left for Oslo, they attended a gala dinner thrown by Martha's uncle, King Gustav V of Sweden. 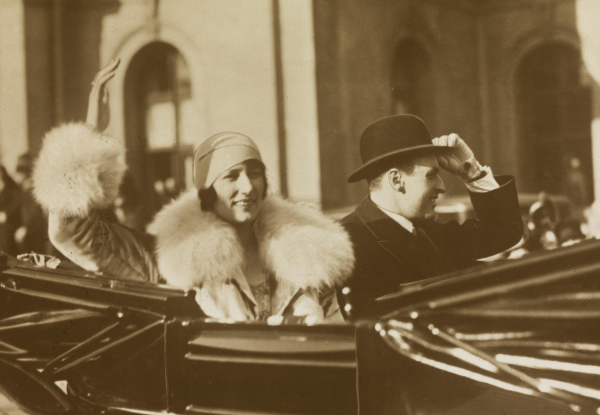 Afterward, the royals packed up and headed for Norway, where Martha became the wife of the heir to the throne and the mother of the nation's present king. Learn more about the Vasa Tiara, including its present owner, in our post on its history!